Rajnikanth and Akshay Kumar’s Robot 2 is the unarguably one of the most anticipated movies of 2017. Ever since the announcement of the movie was made, audiences are eagerly waiting for its release. 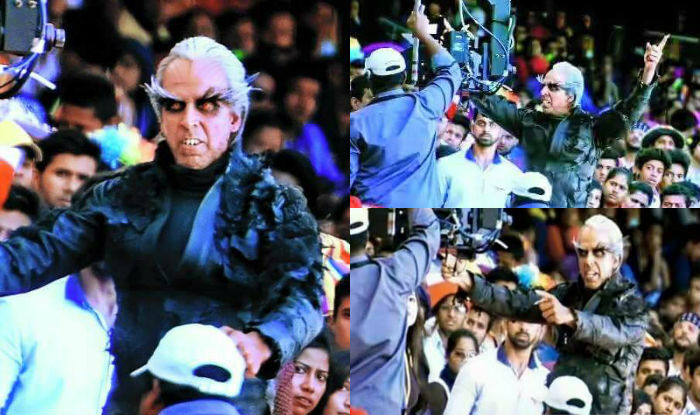 With the budget of 350 crores, Robot 2 will be the most expensive movie of Indian Cinema. The movie is currently being shot in New Delhi with the lead actor Rajni and the film’s antagonist Akshay Kumar shooting some high octane action sequences at Feroz Shah Kotla stadium. Recently, there were reports that Robot 2 will release on Republic Day 2017 or clash with Baahubali 2 in April 2017. But, these reports turned out to be mere rumors as the producers of Robot 2 have confirmed that the movie will release in Summer 2017. All this means that Robot 2 will now release in June or July 2017. Directed by Shankar Shanmugam, Robot 2 also stars Amy Jackson in an important role. Rajnikanth will reprise his role of Dr. Vaseegaran and Chitti while Akshay Kumar will be seen as Dr. Richard, a scientist who turns into a crow.